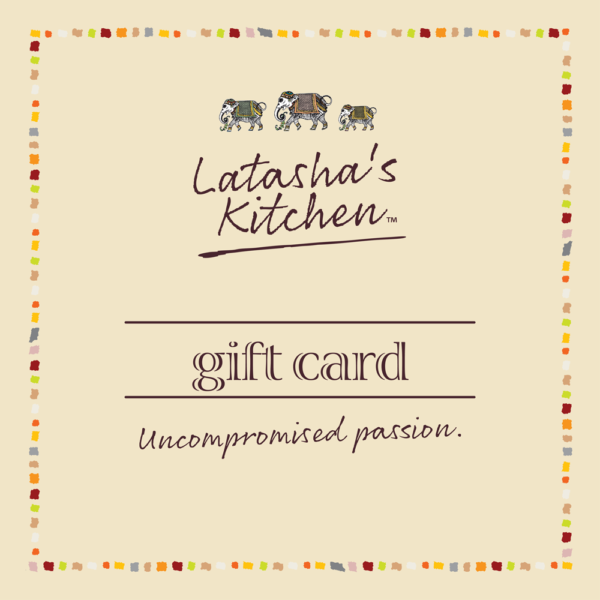 You can quickly and easily purchase an online gift card for Latasha’s Kitchen concentrated curry pastes, condiments, relishes, dressings and sauces for an amount to suit your budget. The card can be used to purchase any products from our online store. 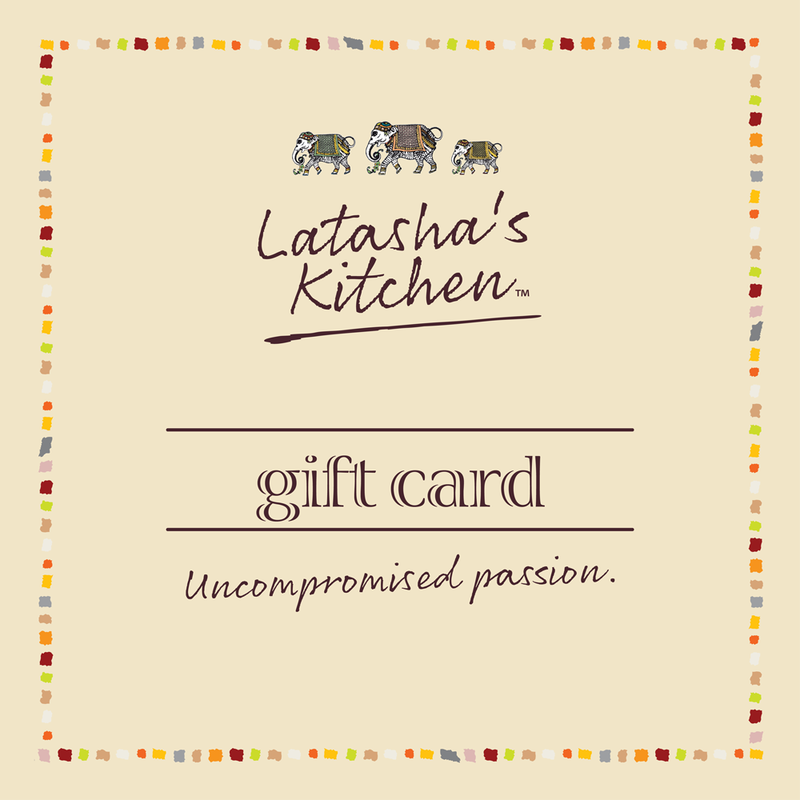 Your gift card will be emailed to the recipient with your personalised message after your payment has been processed. Please note that all gift cards expire 2 years after purchase and all gift cards are non-refundable.